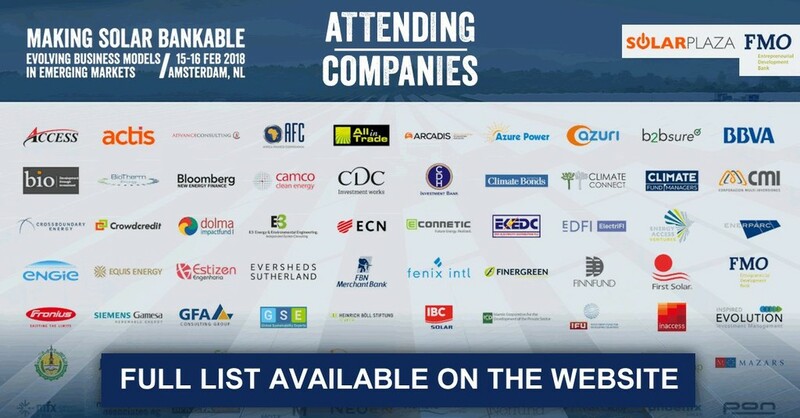 The ElectriFI team participated in the Making Solar Bankable Conference in Amsterdam on 15 & 16 February 2018, organised by FMO and Solarplaza. This event aims to bridging the gap between solar projects and capital by gathering all players. More than 500 project developers, investors, financiers and other key stakeholders attended the conference to address the trends that will shape the industry.